What lies ahead in 2019 for higher education? (File pix) Diversity and education for all. WITH Pakatan Harapan’s victory in the May 9 general election last year, the education landscape saw the merging of the Education Ministry, once the caretaker of school-level matters, with the Higher Education Ministry under the leadership of Education Minister Dr Maszlee Malik. The merger is the platform for the planning, implementation and management of strategies and operations, from pre-school to higher education and lifelong learning in a continuum. Diversity and education for all is the ministry’s mission as evidenced by the June 2018 intake at public universities, polytechnics, community colleges and public skills training institutions. Out of the intake of 182,409 post-sijil Pelajaran Malaysia (SPM) candidates, 17,338 places were offered to those from the B40 group, 299 to the disabled, 348 to Orang Asli and 1,225 to sports athletes. The trend of offering education opportunities at the tertiary level is expected to continue. The education Ministry also pledged to make technical and vocational education and training (TVET) as students’ first choice of studies in the next five years. Maszlee said TVET empowers every level of society towards equitable development, poverty reduction and economic prosperity. However, several issues must be addressed, including strengthening the governance of TVET for better management, harmonising rating systems across both private and public TVET institutions, and enhancing the quality and delivery of TVET programmes to improve graduates’ employability. The Budget 2019 speech revealed that the Education Ministry received the lion’s share with an allocation of RM60.2 billion, emphasising the critical importance of education for the nation’s progress. The 2019 budget made substantial allocations for scholarships including a RM2.1 billion boost to the MARA education scholarships Programme and RM17.5 million over the next five years to the Malaysia Professional Accountancy centre (MyPAC) to produce more qualified bumiputera accountants. Yayasan Peneraju Pendidikan Bumiputera received RM210 million for three of its programmes — Program Peneraju Tunas, Program Peneraju Skil (technical and vocational skills programmes) and Program Peneraju Professional (professional certifications in finance and accounting). To ensure there are funds for those seeking to pursue tertiary studies, the national Higher Education Fund Corporation is reviewing its repayment mechanism. Its chairman Wan Saiful Wan Jan said the review is expected to take six months before it is presented to the Cabinet for approval. The entity is actively holding meetings with various parties including community leaders, non-governmental organisations and other stakeholders to obtain relevant information and input before the draft is prepared. With the abolishment of section 15(2)(c) of the universities and university colleges Act 1971 last month, students have the freedom to take part in politics on campus. This will further expose undergraduates to the democratic system and foster active participation in the governance of the country. Starting this year, student unions will be set up to develop students’ ability to manage their affairs on campus and empower them to lead the nation. As an education hub, Malaysia is a popular destination for local and international students because of the quality of academic programmes provided by higher education institutions in the country which are accredited by the Malaysian Qualifications Agency (MQA). 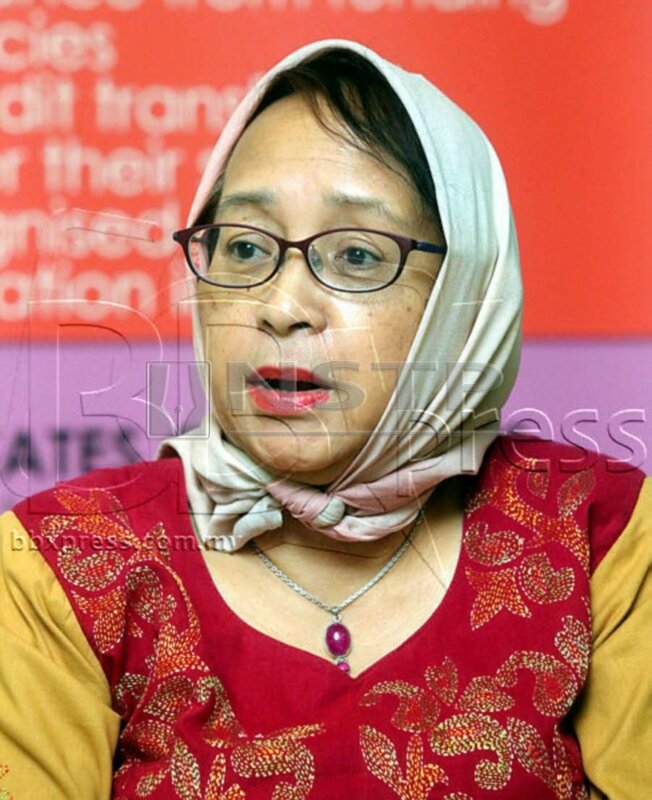 MQA chief executive officer Datuk Dr Rahmah Mohamed said its accreditation is widely accepted in Asia, New Zealand, Japan, Australia, United Kingdom and Europe. “We are recognised as a global brand. If a student graduates from a MQA-accredited programme in Malaysia or a Malaysian institution, they can work in any of these countries,” she added. For this year, MQA plans to train qualifications officers from countries which require accreditation of programmes such as the Pacific Islands and those emerging from war as well as nations which do not have such agencies. It will also introduce standards for micro-credentials. Micro-credentialing is the process of earning a micro-credential, which is like a mini degree or certification in a specific topic. To earn a microcredential, you need to complete a certain number of activities, assessments or projects related to the topic “We are looking at enabling individuals to earn credits from short courses organised by higher education institutions, accumulating those credits and ending up with a diploma or degree,” added Rahmah. “In today’s environment, universities cannot work on their own but need to collaborate. If they subscribe to the same set of standards, a course offered by X University for example can be recognised by University Y. “And University Y can then offer another set of courses to help students accumulate more credits. Micro-cedentials can be offered by both public and private institutions as long as they subscribe to MQA standards. The Accreditation of Prior Experiential Learning – Qualification (APEL Q) is in the pipeline. MQA will conduct a pilot project after carrying out a feasibility study. MQA believes there is a need to enhance the qualification of working adults without the need to be physically at university. “We need to contribute to the advancement of the country and, to do this, we need to evolve and improve our stature in academics and education. More often than not, SPM school-leavers who are not academically inclined are at a loss after getting their exam results. Their results may not be up to mark to enable them to continue their studies at conventional higher education institutions and they may not even have an interest in academic pursuit. Without training and education, they may not have the skills for a bright future in the working world. The Education Ministry’s Technical and Vocational Education Division encourages those who are not academically-inclined to pursue TVET as early as 16 years of age. Division director Zainuren Mohd Nor sees 2019 as the year to strengthen and empower TVET. The division runs three programmes: Kolej Vokasional (KV), Program Vokasional Menengah Atas (PVMA) and Perantisan Industri Menengah Atas (PIMA). “The aim of KVs is to produce skilled workers who meet industry need or become entrepreneurs,” he said. The aim is to get 70 per cent of its graduates employed, 20 per cent to continue studies and the remaining to become entrepreneurs. “We have signed 775 memoranda of understanding for on-the-job training with the industry. We collaborate with the industry to produce students with skills required by the Industry Revolution 4.0 (IR4.0). We also partner with TVET colleges from, for example, Korea, China and Italy to gain exposure,” he added. 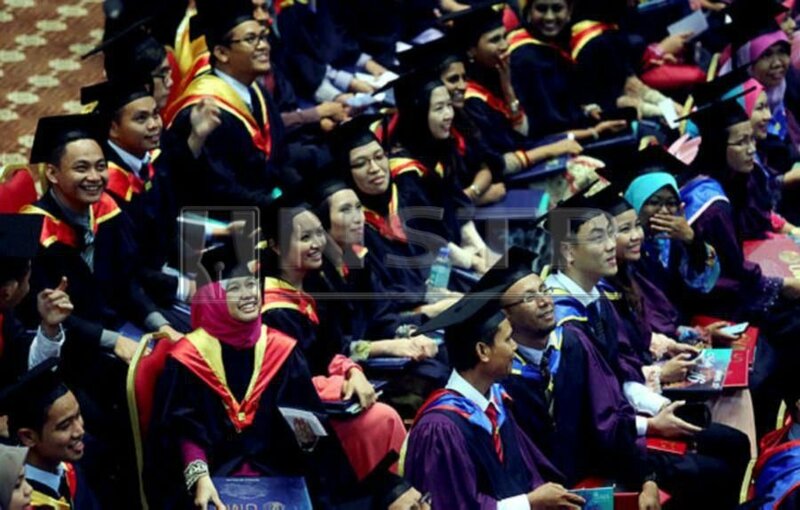 “Diploma Vokasional Malaysia graduates with a 3.5 CGPA can opt for higher studies. Or they can gain work experience and then opt for APEL Q.
KV graduates are awarded the diploma as well as Malaysia Skills certificate. Some 96.7 per cent of the 2017 cohort are employed. As of Press time, the statistics for 2018 were unavailable. As demand for places at vocational colleges is overwhelming, those who opt for TVET education can do so by joining the PVMA programme at day schools. They will be awarded two certificates — SPM and Malaysian Skills Certificate. “They sit for only three SPM papers — Bahasa Malaysia, English and History — which qualify them to apply for places at vocational institutions. Students will be awarded a SPM certificate as well as a letter of testimony from employers. The State Education Department and the District Education Office select the schools which carry out this programme subject to the availability of the industry in the vicinity of the school. Students, who are selected by school counsellors, get an allowance from the industry and will be monitored by it. In the Sistem Latihan Dual Nasional programme, students learn at school for six months and attend industry training for another six months. “I urge society to change its perception of TVET and encourage more industry players to partner with us to develop TVET. “We want the industry to provide student placements, taking on a corporate social responsibility approach. The industry can provide facilities and equipment to ensure training is in line with IR4.0. The allocation of RM17.5 million over the next five years to MyPAC will go towards its target to produce 600 Bumiputera professional accountants, said its chief executive officer Datuk Zaiton Mohd Hassan. There are plans to boost Bumiputera education through sponsorship programmes, including collaborating with institutions which provide scholarships specifically for Bumiputeras, particularly students from B40 families, to pursue professional accountancy qualifications. MyPAC was established in 2015, in collaboration with Yayasan Peneraju, to increase the number of certified Bumiputera accountants. It aims to create the opportunity and provide the ecosystem for those with the capability and ambition to obtain a professional accountancy qualification. Through the scholarship programmes, the number of graduates has risen from only two in 2015 to 141 last year, with 2,154 full-time scholars, and 2,654 current scholars. Nor Dalina Abdullah, one of the earliest recipients of MyPAC scholarship, said she got to know of MyPAC in 2015, which allowed her to complete her ACCA examinations in the same year. “The scholarship provided me with the means to continue my ACCA education. Its support was instrumental in my passing the examinations,” said Nor Dalina, who works as an analyst at Baker Hughes, a General Electric Company. Her role requires her to interact with her colleagues of different rank, including those in other countries. “As a founding member of MyPAC Accountants Club, I hope to contribute back especially to MyPAC’s Outreach programme to inspire potential candidates in the fulfilling career as a professional accountant,” she added. Meanwhile, Muhammad Shafiq Mohd Yusof, Muhammad Hakimie Mat Hat Hassan and Ahmad Fauzee Mohd Hassan attribute their success to Yayasan Peneraju’s three key thrusts—Peneraju Tunas, Peneraju Skil and Peneraju Profesional programmes. Muhammad Shafiq, from a B40 family in Perak, pursued studies at a private university with aid from Yayasan Peneraju, and he works at a multinational corporation with an average salary of above RM5,000 a month. Muhammad Hakimie, from Terengganu, is trained and certified as a welder, with a salary of RM9,000 while Ahmad Fauzee, who is pursuing the ACCA qualification, ranked first in the world for a subject he took as part of the professional certification syllabus. Yayasan Peneraju chief executive Raja Azura Raja Mahayuddin said a structured scholarship and development programme allows individuals to further studies without financial worries. “Yayasan Peneraju is thankful for the government’s trust in its efforts in empowering the education of youth especially those from lower income households. As at December 2018, the foundation has helped 23,000 people benefit from education, TVET training (and employment) and professional certification funding and development programmes. With an allocation of RM210 million under the 2019 Budget, the foundation will be offering more than 7,000 new opportunities this year, including focus of existing programmes on certifications in technology-related fields, professional accreditation programmes for accounting and finance, and a new initiative — Khaira Ummah — for those from religious and tahfiz schools. There is also the Super High-Income Programme to increase the number of Bumiputeras who earn a monthly income of RM20,000 in specialised and niche fields. The foundation will focus on target groups — 1,500 youths from challenging socio-economic background with average-to-excellent academic results (Peneraju Tunas); 4,000 dropouts, non-academically-inclined, unemployed youths and low skilled/semi-skilled workforce (Peneraju Skil); as well as 1,600 new and existing workforce including SPM and university graduates, who are aspiring to be specialists (Peneraju Profesional). Out of the 1,600, it will groom 1,000 professional accountants, chartered financial analysts and financial risk managers annually. 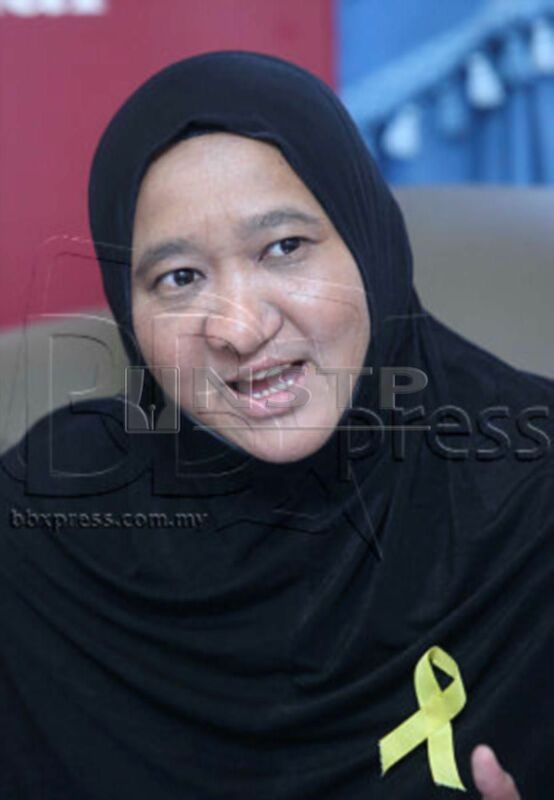 A new programme, Peneraju Tunas Kendiri, which provides opportunities for the disabled, will be introduced this year. Khaira Ummah will start with two programmes — Huffaz Pintar (SPM fast track) and Huffaz Skil. The Health Ministry has an allocation of RM250 million worth of scholarships for medical doctors, paramedics (including medical assistants), nurses and medical students. Some 40 per cent RM100 million) is allocated for 1,100 doctors per year (compared to 1,000 in the previous years) to pursue master’s degree in various disciplines. The ministry spokesperson said about 12,000 medical college students will attend basic paramedic courses and 9,000 nurses will continue post-basic nursing programmes. There are a variety of master’s degree programmes in medicine and health, including Science/Clinical, Research, Education and Public Health at local universities. In Malaysia, a master’s degree in medicine and healthcare is a stepping stone to a career in medicine (as a doctor) or an alternative career in another aspect of the field. Looking forward, Raja Azura applauded the government’s efforts in equipping the nation’s future generations with quality education. The challenge is keeping up with technological advancements and embracing IR4.0 so as not to be left behind. “Employers’ expectations of employees have moved towards technology-savvy communication skills, which in turn, require tertiary institutions to impart such abilities to students. “I am hopeful that the higher education can prepare future generations to face IR4.0, which will impact all economies, industries and society at its core. Raja Azura lauds the spirit of learnability and resilience. Zaiton of MyPAC hopes universities will encourage Bachelor in Accountancy graduates to pursue professional accountancy qualifications as they are only required to pass four ACCA papers, for example. 3) Accreditation of Prior Experiential Learning – Qualification (APEL Q) is another great system that allows experienced workers that didn’t go through formal education to obtain their Diploma, Degree, Masters or even PhD. However, devils is in the details. It maybe subject to manipulation by certain parties for quick & easy profit. APEL Q is just like Pengiktirafan Pencapaian Terdahulu (PPT) in our TVET context. Unfortunately, I’ve received feedbacks on how some of these candidates (with the help of CONnsultants created fake evidences & managed to obtain their SKM certificate via the PPT method. Besides that, can you imagine someone that has >10 SKM qualifications under his/her belt? And it can be so diverse from each other, eg having SKM in aesthetic, hairdressing, massage, aromatherapy, make-up (this group can be quite related to each other) AND culinary, office management and GOD knows what else! Last heard the Department of Skill Development (DSD or better known as JPK) is checking on this & will take action. Haizz, always after nasi sudah jadi bubur. KUALA LUMPUR: The Education Ministry is collaborating with the Malaysian Technical University Network (MTUN) to facilitate entry by Malaysian Diploma Vocational (MDV) students to Technical and Vocational Education and Training (TVET) programmes. Deputy Education Minister Teo Nie Ching said that this was part of the government’s efforts to resolve the issue of accreditation of graduates from vocational colleges, which had deterred them from pursuing their education at institutes of higher learning. “MDV graduates can further their education to a bachelor’s degree at public institutes of higher learning (IPTA) and private institutes of higher learning (IPTS) on the account that their Malaysian Vocational Certificate is equivalent to 3 Credit Sijil Pelajaran Malaysia (SPM) as set by the Malaysian Examinations Syndicate. “At this time, the ministry and the Malaysian Technical University Network is collaborating to develop a programme to strengthen their qualifications for TVET entry, especially for students from MDV. “MDV graduates can also get jobs in industries subject to the terms and requirements of employers,” she said in reply to a question from Nurul Izzah Anwar (PH PKR-Permatang Pauh) during Questions and Answers session at the Dewan Rakyat today. Teo said all MDV programmes by vocational colleges need to undergo accreditation by the Malaysian Qualifications Agency (MQA) and applications for 615 programmes had been received since June 2016. She said out of that number, around 83 percent or 510 programmes have received temporary accreditation. Teo said 428 programmes had been accepted for full accreditation, 12 programmes had received full accreditation and 54 programmes were in the process of fulfilling the conditions to obtain full accreditation. She added 362 programmes were being evaluated in order to meet the requirements for full accreditation, which is expected to be finished by next year. She said student entry into vocational colleges this year was 14,243 compared to 16,728 last year. Although the number had increased in 2013 from 15,916 to 18,022 (2014), it dropped to 17,544 in 2015 and 2016 (12,875).